The present work mainly emphasizes the role of pre- natal mortality in overall infant mortality, its trends in India over the period, and analyses its possible determinants. The book discusses all the components of perinatal mortality i.e. early neonatal deaths and stillbirths very comprehensively to capture the scenario in Indian context. This would be of a great interest for the readers especially working in the field of health and mortality studies, professionals, and policy makers. The book is organized into seven chapters. The first two chapters are pledged with the general background and research design. 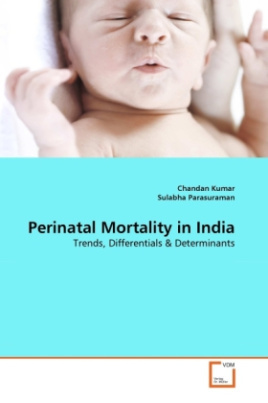 Chapter-3 assesses levels, trends, and state level as well as rural/urban differentials in perinatal mortality and its components. Chapter-4 includes the all India and state level estimates of early neonatal mortality, its contribution in overall infant mortality as well as its determinants. The fifth and sixth chapters analyze the determinants of stillbirths and perinatal mortality, and model the pathways of their predictors respectively. The last chapter summarizes and concludes the study with major findings in wake of certain policy implications.